The Planner is broken down into many amazing features and 3 security features for flexibility and access by different levels of personnel in your church. 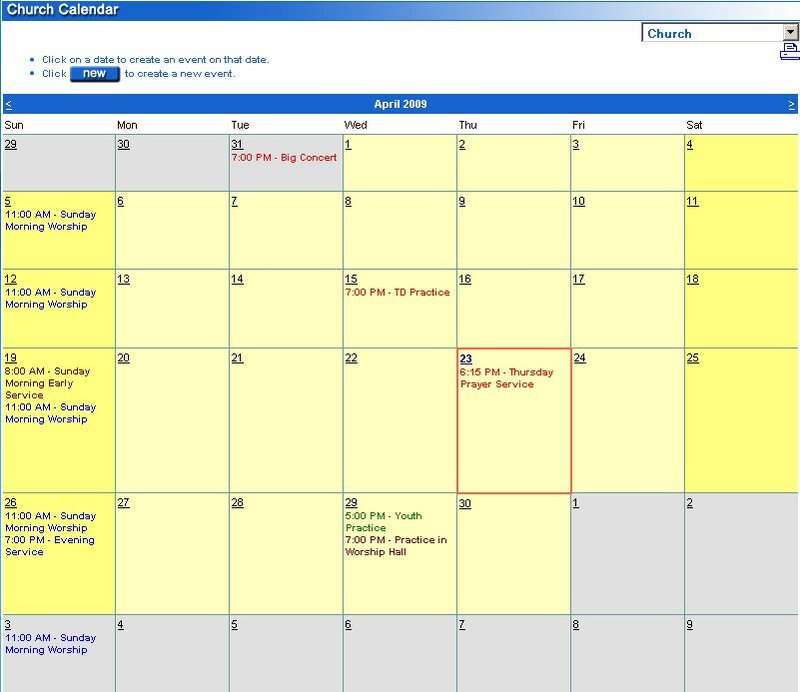 You will be able to build your own calendar of events by team and church as each calendar represents individual teams compiled to the master church calendar. This will let you know what's coming up by time, date, title, who's involved, what is being played and where exactly are they on stage! 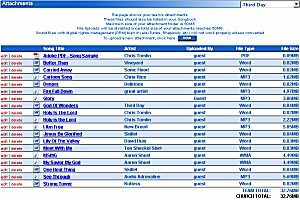 Many of you have WORD Docs or PDF’s Or maybe even MP3’s that you purchased and you want a legal way for others to see and hear the music after purchase. 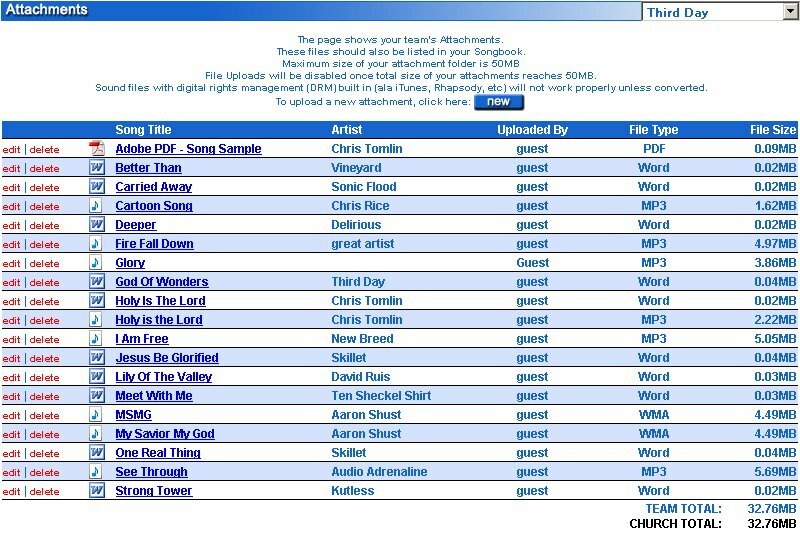 This allows you to let your worship members see and hear the music you have purchased without file sharing! You can even import CCLI Songs from Song Select! How about a Team and Church Songbook to help you know what you played and when! Each team will have their own songbook. 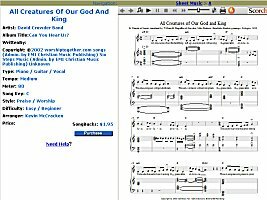 These individual songbooks will build the churches songbook library. 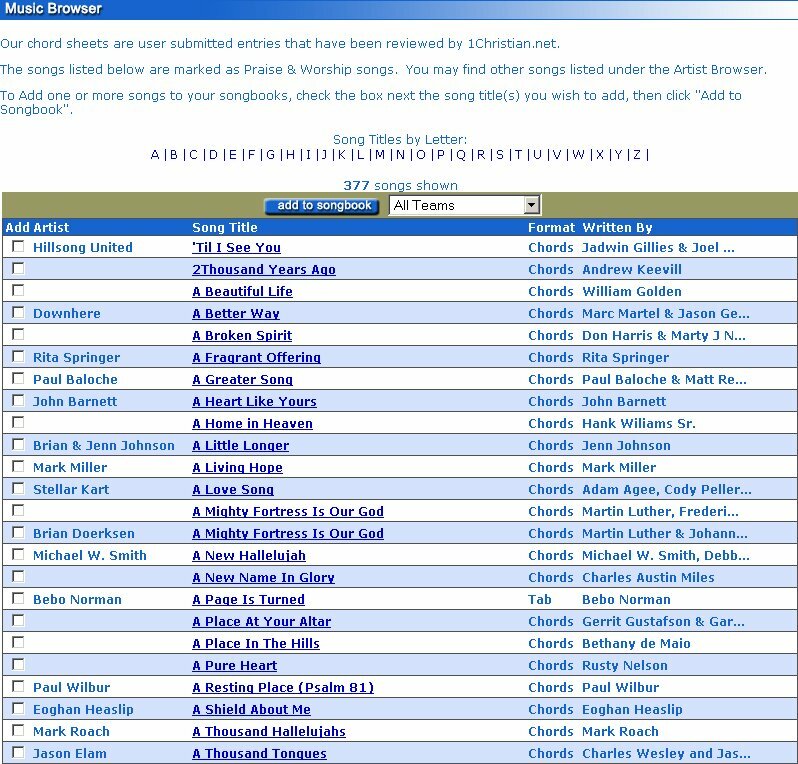 All songs are imported into the teams unique songbooks using the 1CN Music Master Database or by importing one of your own from your database through Data Storage. That’s thousands and thousands of songs not including your own! No Other Planner on the web has that! Please remember to use your CCLI # for all music and performances! 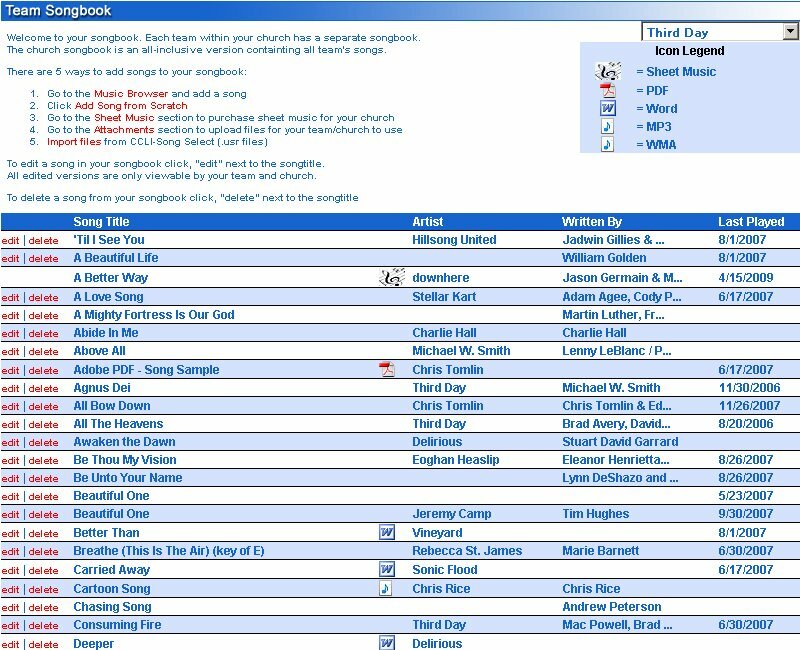 The 1CN Music Master Database has thousands and thousands of songs encompassing worship music and general Christian Music. 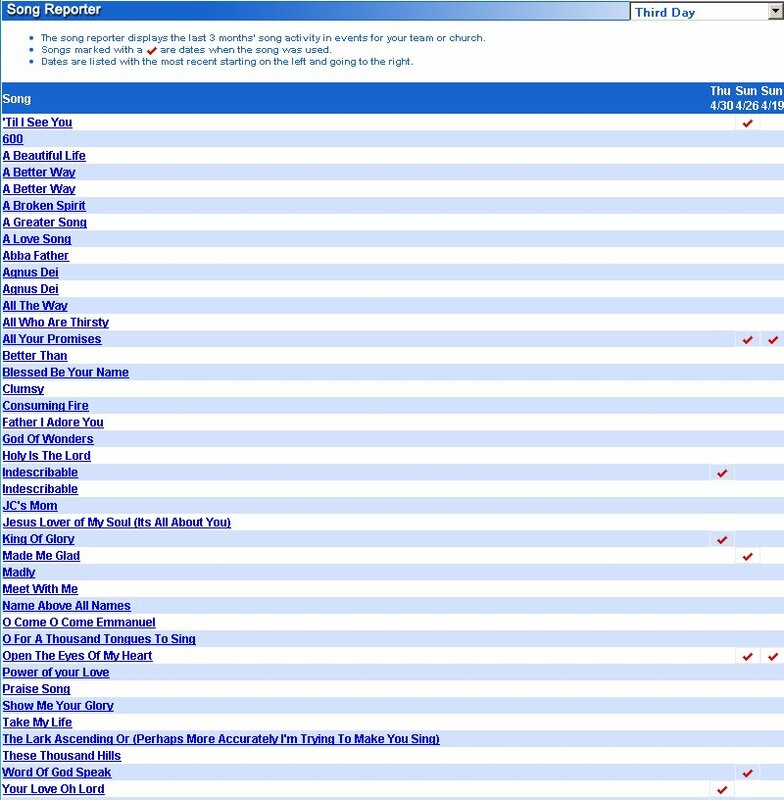 Updated each day, this database adds all the latest new music and maintains all the old. 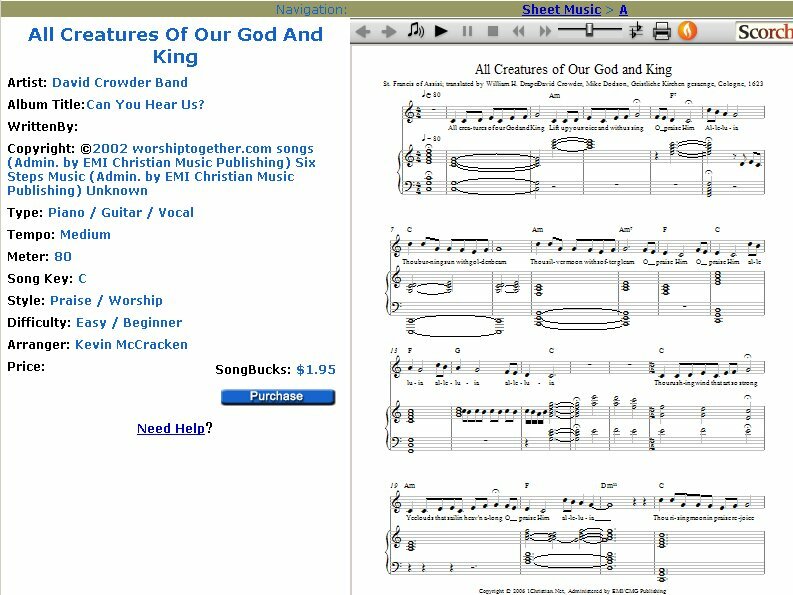 You can transpose on the fly and make notes for your churches needs and save it to you songbook. This database is one of the largest in the world. As a worship leader you don’t want to play a song to death. In fact you want to know when you played it. Have that linked to your CCLI number and their tracking numbers for reporting and you have a tracking service like no other! 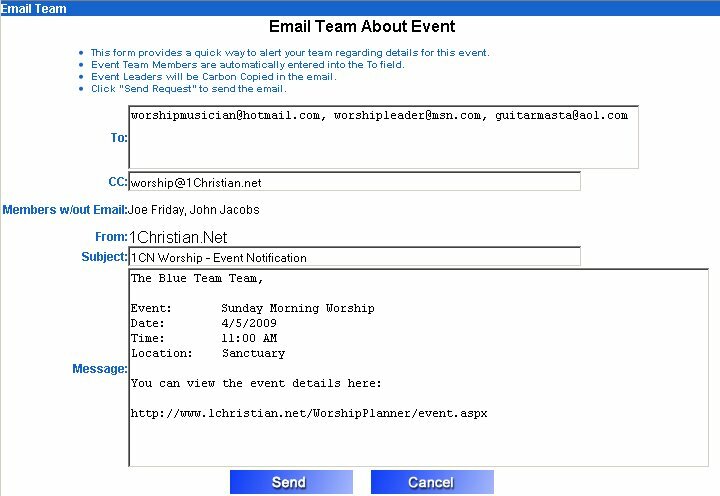 Its all a click away, email your team members to notify them of events they are scheduled for, email them individually, or just drop them a line. All the info is at your fingertips to keep your people in the know. 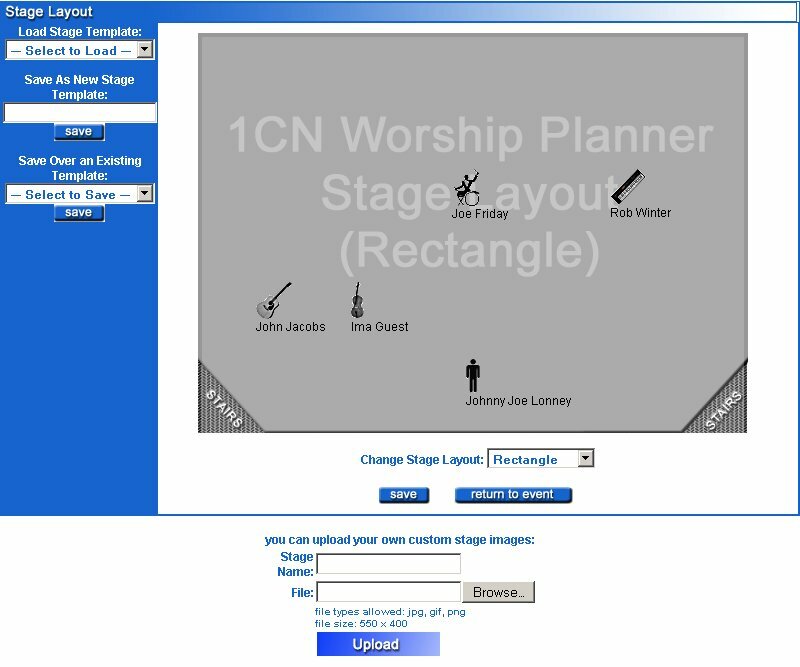 The 1CN Stage Layout, an exclusive feature, is designed for your sound and stage setup crew. You can drop and drag all members onto the stage exactly where you want them to be on stage. We currently have given you two stage layouts for you to use, the rectangle and arch. You can even upload your own stage as well! Each event can be sent to the sound person and they can get the stage ready for you BEFORE practice or performance! Nothing better than having your stage setup before your event! 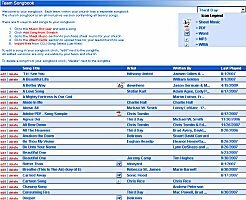 The only planner that allows you to purchase sheet music and at the CHEAPEST on the web through Songbucks tm at $1.95 where else on the web can you get sheet music that you can transpose and keep in your Data Storage list and print out? No Where. Adding this year 1CN Records, other labels and the new IML (Innovative Ministry Leader) site are letting you have and use their music, mp3’s and teaching videos for free or reduced price by a huge amount for limited times. The 1CN Worship Planner will allow you to get this music and import it at select times, watch teaching videos that will inspire your entire worship department. Get the latest music or teaching from many of today’s leading worship leaders, tech people, and innovative pastors and leaders in the church today. No other planner has it!